health, life & a career you love! EVEN IF YOU HAVE NEVER TAUGHT A FITNESS CLASS OR CLIENT, EVEN IF YOU HAVE NO IDEA ABOUT NUTRITION & EATING FOR HEALTH, AND EVEN IF YOU ARE SEEING NO PERSONAL RESULTS RIGHT NOW! AND… ESPECIALLY IF YOU’RE COMPLETELY OVERWHELMED WITH ALL THE THINGS YOU THINK YOU NEED TO DO TO BECOME A HEALTH COACH, HAVE A TON OF PASSION TO SPREAD THE HEALTHY LOVE & BE THE BOSS OF YOUR OWN LIFE …BUT WANT MORE SUPPORT THAN A LIMITED WEEKEND COURSE AND NEED THE CERTIFICATIONS TO START ON THE PATH YOU ARE MEANT FOR. NOT WHEN THINGS “SLOW DOWN” OR IT’S THE “RIGHT” TIME. NOT WHEN YOU LOSE MORE WEIGHT OR BUILD MORE MUSCLE BECAUSE YOU THINK YOU HAVE TO “LOOK THE PART”. NOT WHEN YOU HAVE MORE PRACTICE, TIME, EXPERIENCE OR MONEY. You may be feeling unhappy with your life, in your skin and with your job..
You just feel like something is missing. Is how you, your health & your dream career are about to come to life and you about to uncover the fierce women you are meant to be. And there is NO better feeling than that. and the truth is YOU CAN TOO. The world needs heart centered fitness & health professionals now more than ever. It needs YOU. Yes – swapping our suits for sweats and becoming two of Canada’s most publicized Fitness & Health Experts felt amazing but doing what we LOVE and working with passionate, purpose driven women like you makes us excited to wake up every single day. AND YOU CAN DO THIS. IT’S ALL ABOUT DROPPING “I CAN’T” FROM YOUR STORY, TO CREATE YOUR BEST LIFE. This isn’t another ‘quick fix’ certification or a weekend course that doesn’t care if you complete it. We want you to succeed. 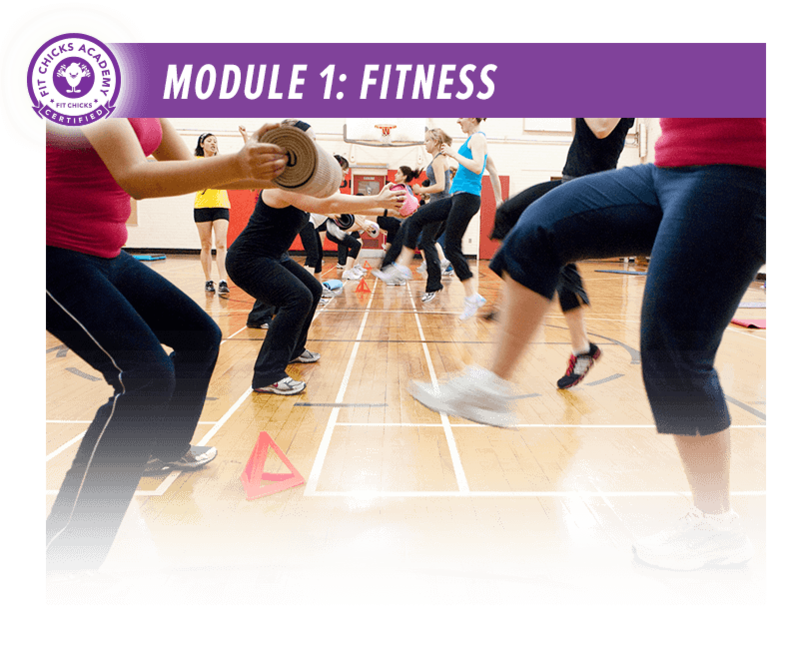 Most fitness courses focus on 1 aspect such as personal training or fitness instruction. What they don’t focus on is how to teach and build amazing classes and programs that get you clients, nutrition programs that work, wellness techniques to improve health and how to thrive & grow in the health industry. And to succeed in this business and in healthy living, you have to approach it from all angles. Even if you don’t want to teach or coach it all, you HAVE to the knowledge of all areas to get better RESULTS, help more clients and in turn, make more money helping others. We want this for you. We truly believe that HEALTH is the most powerful key to CHANGE your entire life. Fitness, nutrition and wellness are the most powerful medicine for the mind, body and soul. And with this knowledge and tools, every person in the world – whether a coach or not – can truly TRANSFORM their body, health and path to be the one they have always dreamed of. Our goal is to help every woman worldwide create the health, life and career they love and in turn, build healthier families and communities. And in the next 12 weeks, we will take you from feeling stuck to being the fiercest, holistic fitness professional ever…are you ready? Let’s do this! The Fitness & Nutrition Expert program is the only certification course of its kind in the industry. 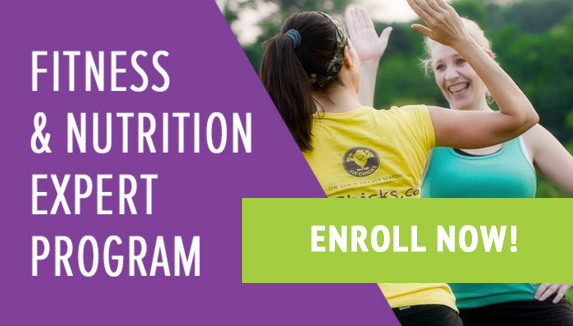 Unlike other courses that focus on only 1 area of health & wellness or are just a weekend long, the Fitness & Nutrition Expert program is a 12 week certification program that will teach you everything YOU need to know to become a TOTAL health coaching rock star in this ever changing industry! 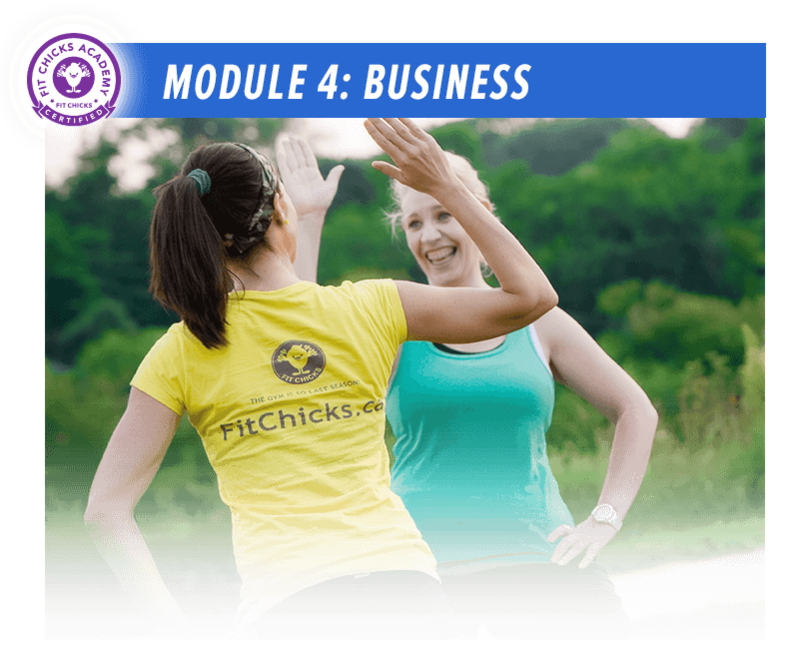 Covering fitness, nutrition, wellness and business… it is like getting 4 certifications in 1… all without being overwhelmed, bored or having to leave your living room. You are not just going to learn the info in class but you are going APPLY and practice what we cover – leaving with the total package of skills, confidence and materials to be a fierce fitness professional. Personal Trainer, Group Fitness Instructor, Nutrition & Wellness Coach, Recipe Developer, Health Writer, Fitness Business Owner, Gym Manager, Children’s Activity Coordinator, Fitness and wellness retreat leader, Online trainer & educator + so much more.. There are a ton of fitness programs in the market. 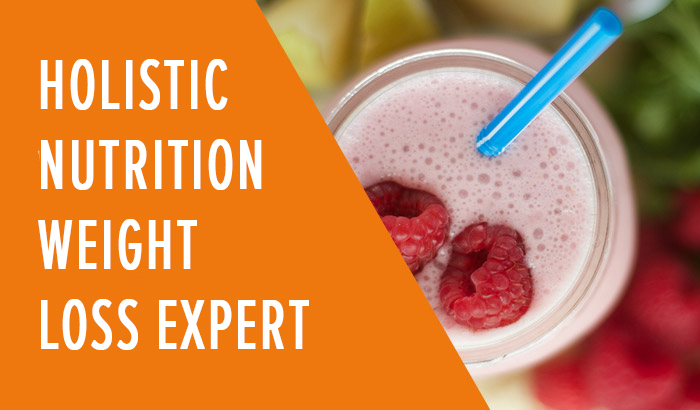 So what makes the Fitness & Nutrition Expert the best choice for you? Let us break it down! A holistic approach, with a focus on fitness, nutrition, wellness AND business, we are the ONLY all inclusive program that offers it all! Narrowed approach, which means you will focus on only 1 aspect of fitness that will limit your scope and skills. 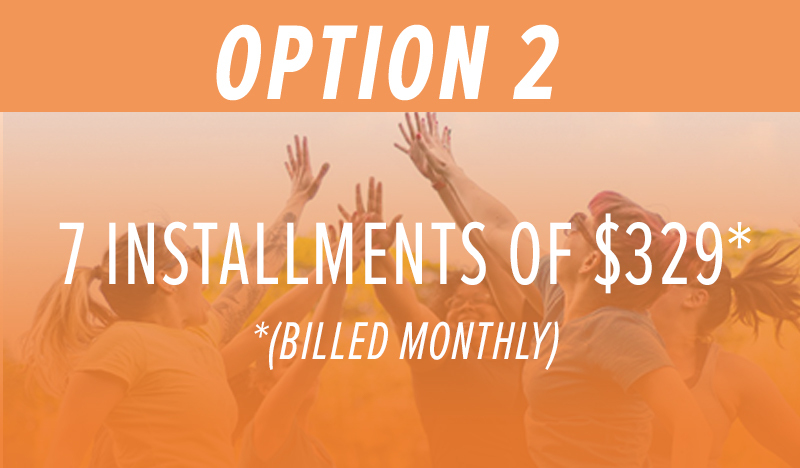 Only includes personal training OR group fitness OR online training, which means you are limiting your reach and your income and will need to make multiple courses. Nutrition & wellness coaching, which means you will have the knowledge to guide clients to get results and reach long term weight loss and muscle building goals with proper nutrition. No focus on nutrition counselling, which means your clients will not be able to get results and reach long term health goals. Nutrition and wellness is over 90% of the equation! 12 week certification program which means we are here to support you through the whole process as you start your dream life, health & career. Weekend Courses which means you learn primarily from a book with no additional support. 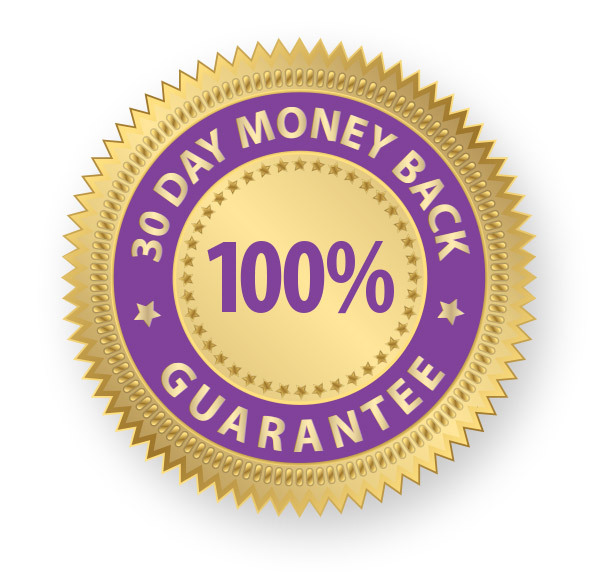 No business training, how to build packages, programs and challenges, legal or insurance – you have to figure this all out on your own which can take 100’s of hours! The Fitness & Nutrition Expert Program is a 12 week total coaching program that is taught entirely online so you can access the content from ANY mobile device as long as you have an internet connection! No more wasting time commuting or worrying about not being able to keep up, virtual classes can be done from wherever you choose and can be viewed again later to work with your day. This is a complete and thorough professional 12 week online certification program that offers practical, applicable (aka you will actually use this in REAL life!) fitness instruction and personal training skills, program development, nutrition & lifestyle coaching and business building applications. Accredited with CAN FIT PRO & NASM! The Fitness & Nutrition Expert certification is internationally accredited by Can Fit Pro & NASM! What does that mean? Upon completion of this certification, you are also equivalent to receive your Fitness Instructor Specialist & Personal Training Specialist with Can Fit Pro! Don’t live in Canada? This program is also accredited with NASM (National Academy of Sports Medicine) for CEU’s. Can Fit Pro is also internationally accredited and can be transferred to fitness governing bodies worldwide. As many fitness companies failed to grow, the Head Chicks passion expanded FIT CHICKS from its award winning women’s only boot camp offered at over 20 locations to include retreats, workshops, challenges, fitness DVD’s and host 2 television series called “Shape Up with FIT CHICKS”. 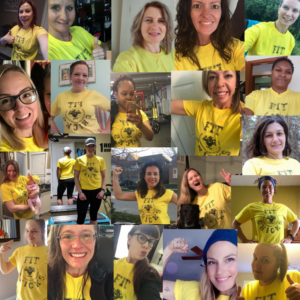 Their commitment to women’s health earned the company 2015 Top 3 Fitness Professionals in Canada by Can Fit Pro and Stevie Award for Women in Business – Health & Wellness Company of the Year. 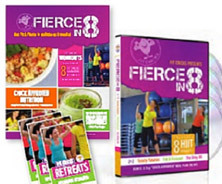 With a mission to get ALL women pumped & involved in their health and in turn, build healthier families and communities worldwide, they have packaged over 20 years of expertise in fitness, yoga, nutrition and business into this amazing, applicable 12 week Fitness & Nutrition Expert certification to give YOU all the tools to take your fitness career, healthy knowledge and life to the next level! … & so much more! Stress management – more important than ever! Marketing: How to build a killer fitness biz without breaking the bank. 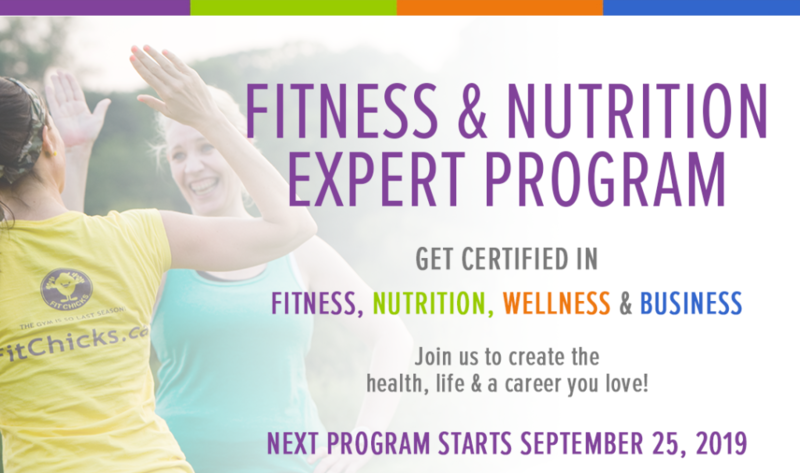 When you enroll in the Fitness & Nutrition Expert Program, you will our welcome email and complete a complete Get Started Guide & Checklist to get you set up with all you need to get prepared for the September 25th program start date (so don’t worry there is zero tech experience required) and you will be granted access to the private Facebook community so you can connect with Laura & Amanda and your fellow FNE peers right away! Attend the orientation on September 25th, receive access to the Members Only Section and join the weekly virtual classes. These are all outlined in your course calendar along with quizzes, assignment, practical teaching info and bonuses. Get ready for maximum learning with tons of support, tools and resources! *** While we do follow a schedule, don’t worry if you can’t make it to the live classes; we’ll record it for you and make it available to you inside the FNE members only site. You can choose to take, view and complete the modules at your own pace as quickly or slowly as you like as long as all course requirements are submitted 3 months after the last day of class. STEP THREE: GET READY TO PUT YOUR LEARNING INTO PRACTICE! We don’t just talk the talk, we want you to walk the walk during this program. In addition to the in class / theory component, you will be completing practical hours within your community as part of the program. This is not a build your own “boot camp” program but a holistic fitness & nutrition program where you will be practicing group fitness, personal training, nutrition & wellness coaching and business applications in real time so you put into practice all that we learn in class…leaving with real life experience, programs and confidence to rock it in the real world. TOTAL VALUE OF OVER $7050! *To view the terms & conditions + full requirements for refund policy, click here. 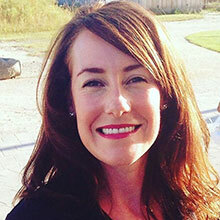 My name is Kelly Hayes, I live in Victoria BC. I just recently graduated! I currently own a small fitness company that offers Personal Training and Group classes, I have been doing this for 8 years. My business name is currently Tone the Zone Fitness, however I’m planning on rebranding and freshening it up and looking to add a online component to it. 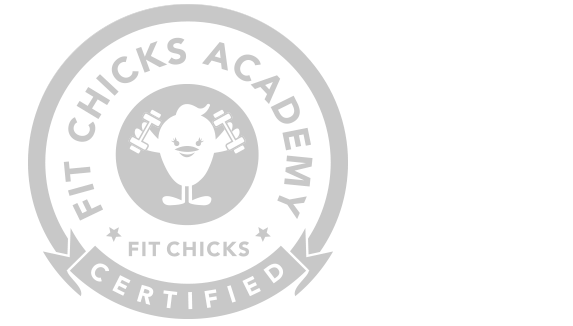 Best decision ever made was to get certified through FIT CHICKS Academy as there was just so much information and they cover 4 areas that are so important in fitness. 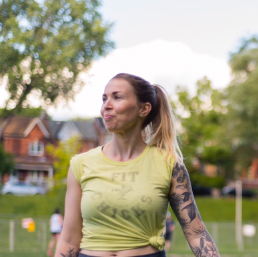 I chose FIT CHICKS Academy for my certification because I love how FIT CHICKS empowers women to be their best as that is what i’m looking to do in my own practice. I wanted to get certified to help encourage and motivate other women to be the best them . To accomplish something for me. In the Fitness & Nutrition Expert Program, the instructors are motivating, inspiring and made me feel supported! I loved the encouragement , community of women and of course the amazing instructors! To anyone considering the program I would say just go for it. You’ve got this. You learn so much about yourself and the women around you. It was an awesome experience. Don’t let fear hold you back from your dreams! You can do anything you put your mind to. One goal, one assignment , one lesson at a time. I believe in YOU! I was looking to get certified as a Fitness & Nutrition Expert because I wanted to help other women take back their lives. 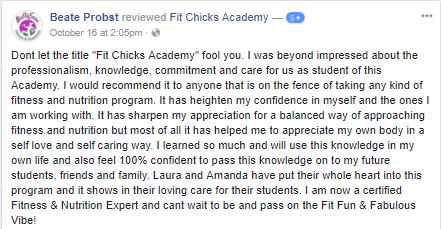 When I was searching for ways to get certified as a trainer, the only website I found that detailed their program was FIT CHICKS. Then the bonus, I was able to speak with one of the founders to have any questions answered and to find out more! During my initial conversation with Amanda, she was very friendly and answered all my questions. This gave me confidence in choosing FIT CHICKS! My favourite part of the FNE program was that you are able to work at your own pace. 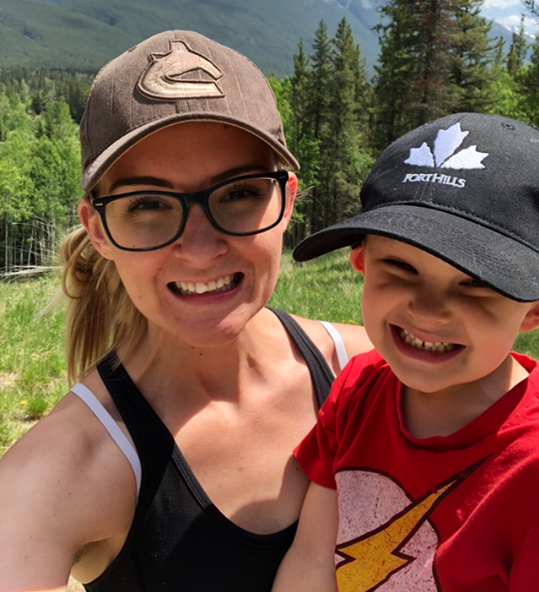 As a wife and mother, time isn’t always on my side but being able to work through the program at my pace was very beneficial. I also loved that the program was 3 months, I gained so much knowledge that I graduated feeling confident in what I knew. I also loved how the instructors were so down to earth and humble, they were very relatable. It’s hard to pick just one favourite! My name is Leona Harter. I graduated from the FNE program February 2019. 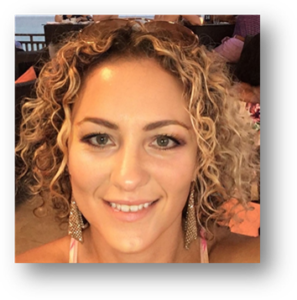 I am an acupuncturist, massage therapist, yoga teacher, and fitness instructor. I believe health is as much a state of mind as a physical state of being and want to empower women to be the best versions of themselves mentally, physically, and spiritually. I combine my training in Chinese Medicine, Integrative Health Coaching, and fitness to help women who want to improve their health and feel better mentally and physically. I’m here to inspire all women to take back control of their health and transform their life. I am passionate about helping women reclaim their voice and love to educate about health prevention and self—care. I believe in the power of food as medicine and the importance of the mind-body connection. When not engrossed in the world of medicine, teaching classes, or inspiring women to be their best, i am an avid yoga practitioner. A few of my guilty pleasures include weekend getaways, binge reading a good book, watching movie classics, or enjoying anything that’s salted chocolate caramel. I did the Fitness & Nutrition Expert program as a refresher. I think every instructor should be certified and stay up to date on trainings in order to be able to offer the most effective plans to their clients. 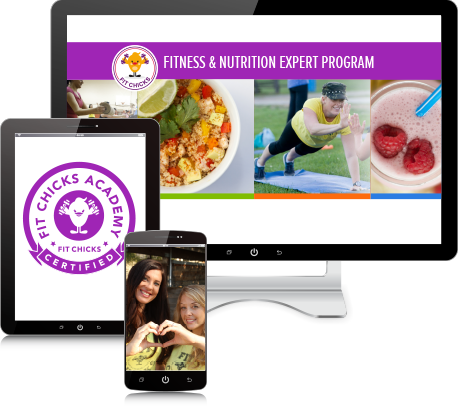 I chose FIT CHICKS Academy for my certification because I love how FIT CHICKS empowers women to be their best as that is what i’m looking to do in my own practice. I loved the resources and the availability of the FNE staff to answer questions and offer support. To anyone looking to take the program I would say: Do it! Even if you already have a fitness background, it will add layers to your knowledge and provide a ground work for future trainings. My name is Michelle Bailey. 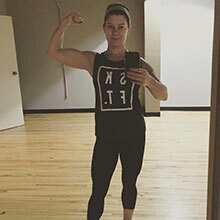 I graduated from the Fit Chicks Fitness and Nutrition Expert Program in January of 2019. 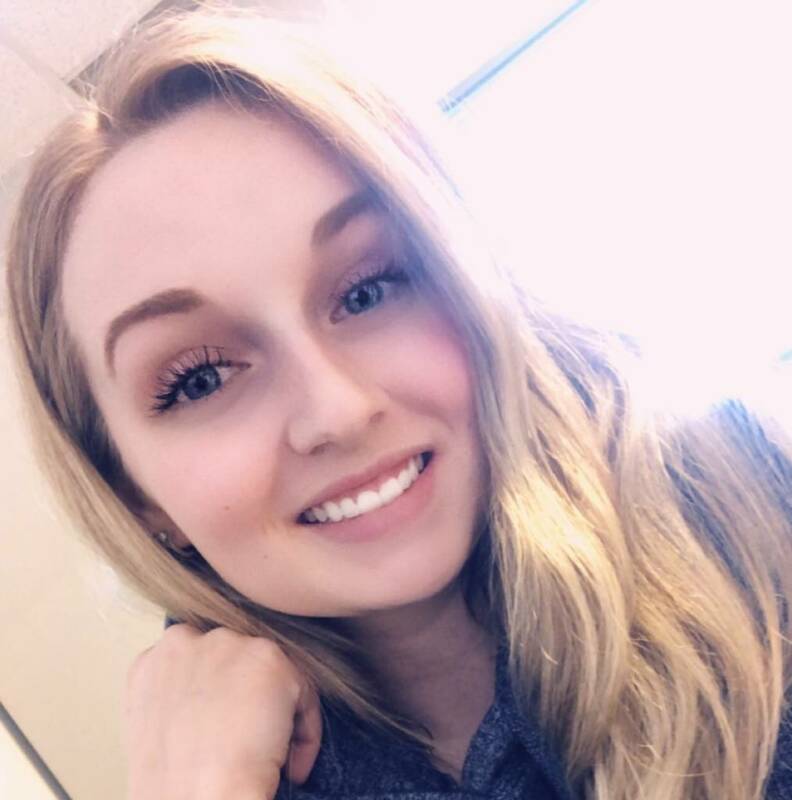 I’m born and raised in Fort McMurray, Alberta and have graduated from the University of Alberta in the spring of 2018, where I studied Anthropology and Human Geography. 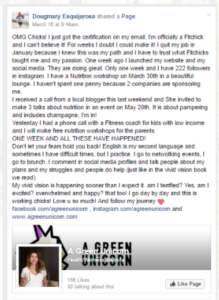 I wanted to get certified because I’ve been passionate about health and fitness for many years. Throughout my time at university, I started getting really into fitness and health. I’ve grown to love it so much that I wanted to help other women reach their goals and become confident and happy in their lives. 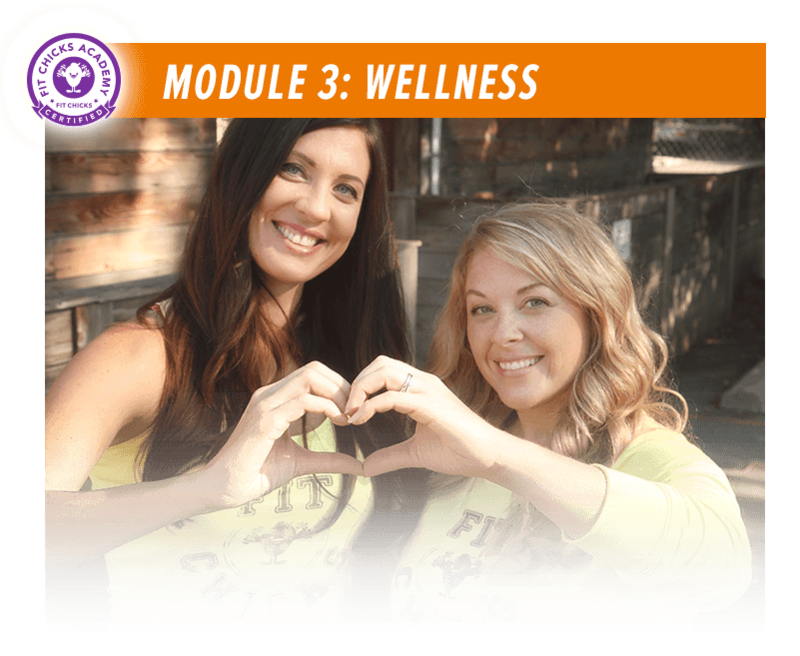 I chose FIT CHICKS Academy for my certification because out of all of the Canadian online programs I compared, this one is the most holistic course I found. FIT CHICKS Academy includes practicals which many online courses don’t, and I feel that makes the students more prepared once they graduate. FIT CHICKS Academy also includes nutrition and business sections which is a huge bonus. 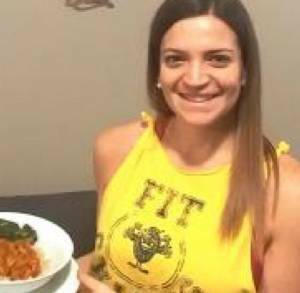 I wanted to expand my knowledge about nutrition while also becoming certified in fitness (personal training) and this course allowed me to do that, whereas many other courses focus solely on personal training. My favourite part of the FNE program was the practicals. I loved teaching fitness classes and getting real life experience of coaching before I graduated, better preparing me for my future business. For anyone considering the program I would “DO IT!! It is totally worth the time and money. I have learned so much and expanded my knowledge more than I thought I could. This course has given me the tools I need to succeed at my own business and is continuing to provide me the support if I need it. There are awesome ladies running this program! They are so helpful and actually care and take the time to really answer our questions and make sure we are understanding everything. My name is Antoinette but everyone calls me Tonie. 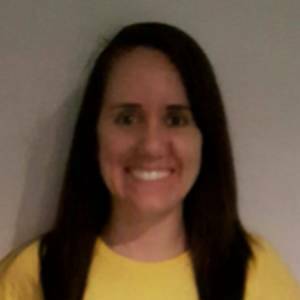 I graduated FNE Sept. 2018 and I currently work as an early childhood educator. I’m building my own business as a fitness and wellness coach to help and inspire other women to achieve there goals, specifically if they have experienced or dealt with anxiety and/or depression. I do have a bachelors degree in psychology and family and social relations, as well as social work and of course my early childhood education diploma. I chose to get certified to help as many women as possible attain the life they aspire mentally and physically when dealing with mental health. The Fitness & Nutrition Expert Program is BEST PROGRAM EVER. Laura & Amanda want you to succeed and that you will, once you follow the steps given. There is also a lot of support that they’re really is no room for failure. Even if your not even looking to do a career change THIS program is amazing in teaching you so much about your body in terms of working out and nutrition as well as it does teach you ways that you can use this to make additional income. My name is Starla and I recently graduated in October 2018. 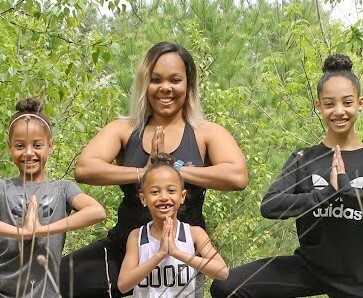 I’m a stay at home mom and have just launched Our Wellness Deployed, which is a health and wellness business that focuses on creating healthy home habits and putting them into action. Being a military family I wanted something I could do no matter where we lived. As someone who enjoys being active, organizing and being creative in the kitchen the FNE program seemed like the perfect fit. 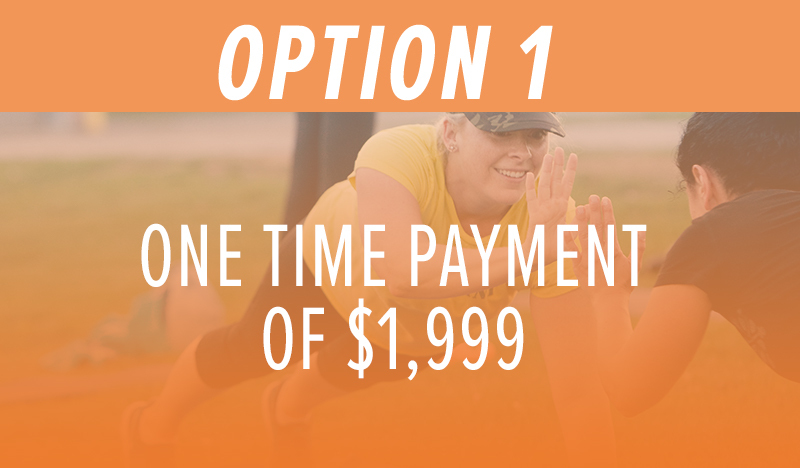 I chose the Fitness & Nutrition Expert Program because the fact that the program provides a well organized and detailed course load was appealing to me. I appreciated the business portion of the course as well as the wellness. 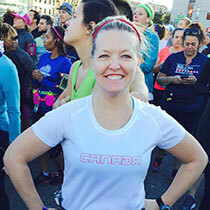 The CanFitPro accreditation showed me that the course was valuable and recognized. Since taking the program My habits have changed and in turn so has my families, overall we are healthier and happier. I am about to launch a fitness program for families! It’s worth the money as the information you learn is not something you can come across for free on blogs or websites. The teachers are accessible and the FNE community is very supportive. You are not just purchasing a course you are gaining a wonderful community! 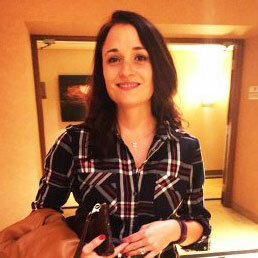 I’m Jessica and as a mom of two and one being a newer little person I appreciate time with them and time for myself. As a yoga teacher, early childhood educator and a social service worker, I love supporting all people of various sizes in all areas of their lives. And yup I might have been crazy to take this Fitness and Nutrition expert program with a 3 year old and a newborn, but it has been a blessing. 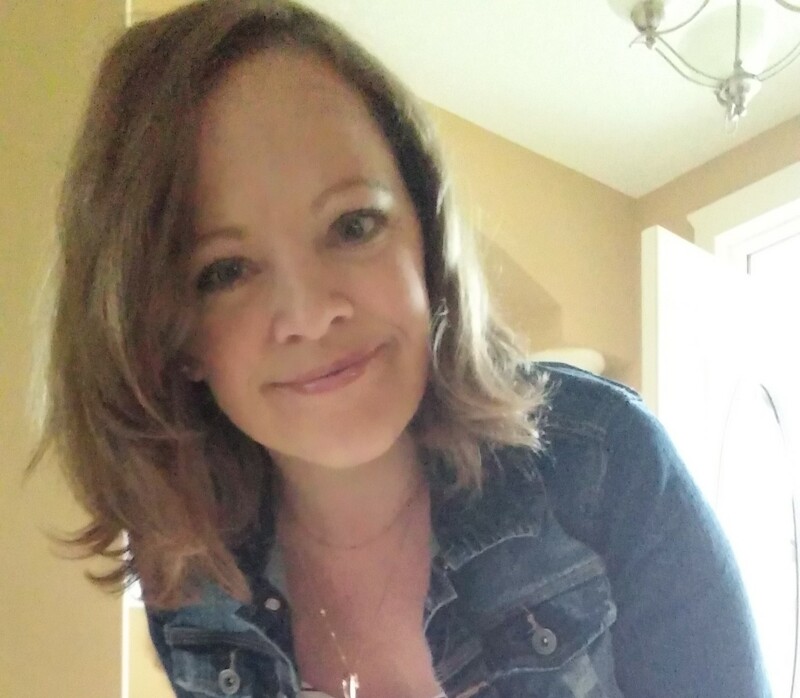 Not only did it motivate me to get up and exercising to shed baby pounds but it allowed me to take a look at my eating habits, how to self-care and inspired me on how to start my own business. I saw the posting on Facebook and checked it out and everything that was being offered spoke to me and I told my husband I had to do this program- not only for me but to work with other moms who need quick exercises and motivation to feel healthier, happier and sexier! I joined the Fitness & Nutrition Expert program because I was looking for a change in my life and my career. I just had my second baby and felt more disconnected from my body, my mind and my community than ever. I had all these new amazing but overwhelming things happening and lost myself for a little bit. My fitness routine was what brought me back to me. 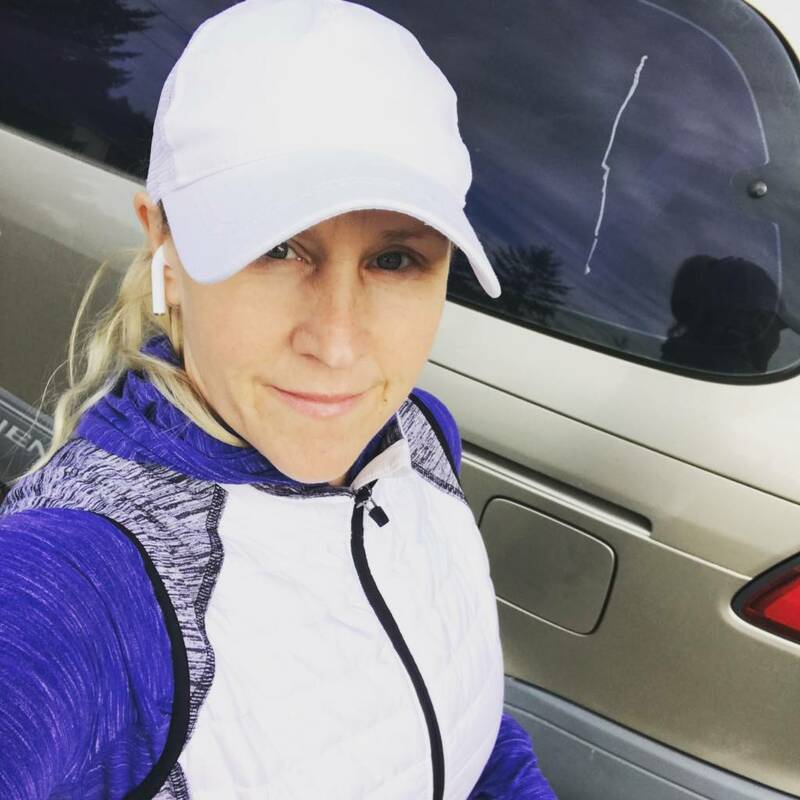 From there, I realized that I could build a business through fitness and nutrition to bring moms together, build connections and friendships and help them love their “new” bodies, as well as work around my kids’ schedules and allow me to spend more time at home with them. 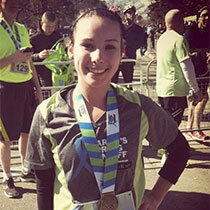 I chose the Fitness & Nutrition Expert Program because the course is really well rounded. I had NO fitness experience before this and wanted to make sure the program I took gave me a lot of practice and knowledge. Those weekend courses just didn’t cut it! I like the videos and the format the program was delivered in. It was easy to navigate and easy to follow. The videos helped me a lot as I’m very visual. I’m WAY more confident than I was before starting this program. The thought of getting up in front of people to teach a class terrified me! I didn’t think I’d get to that point – but now that i’m here, its great! I feel empowered and though my classes are small, I know i’m making a big impact on the women that are there! This program has taught me more than I ever imagined – and my business is still in the early stages, but doing great! I’m so grateful for this course, the teachers and the ladies in the course! Its been a great experience. 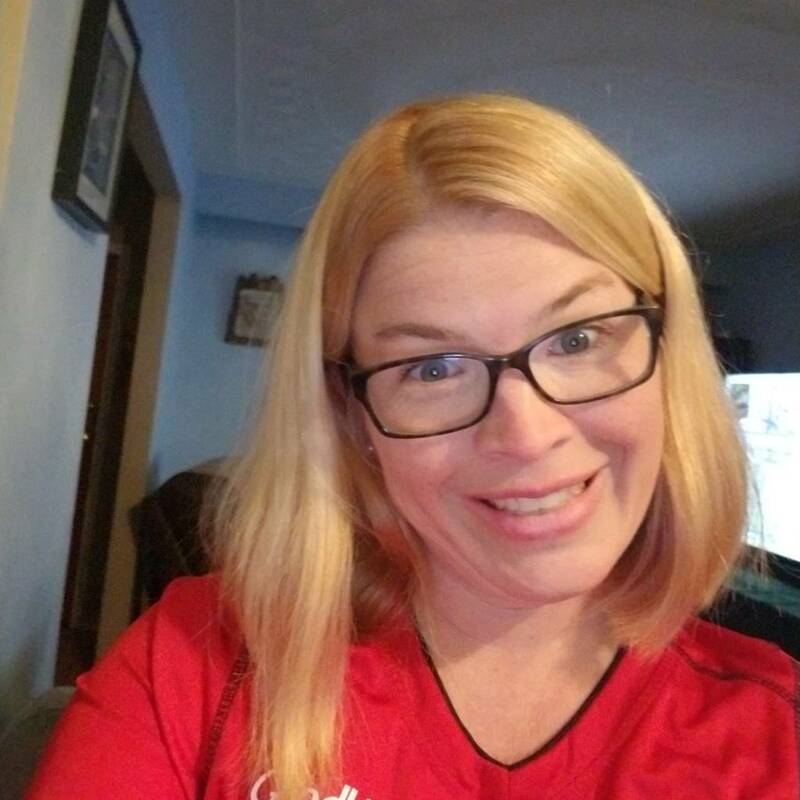 My name is Ann, after spending the first 15 years of my adult life being morbidly obese, I made the very difficult decision to have RNY surgery. I have since lost 130lbs and am obsessed with being active. I absolutely LOVE IT. I chose to take the Fitness & Nutrition Expert Program to help other women take control of their lives! I am enjoying the course immensely and can’t wait to start my journey! Hey I’m Amanda. I’m a busy 28 year old mom of 3 kids: 2 boys and 1 girl, and pregnant with my 4th. I also run a full time home daycare where I care for 4 other kids on top of my daughter, while my older 2 boys are in school. I was always an active/athletic person and played softball in University, but I was always overweight due to overeating and not-so-good eating. 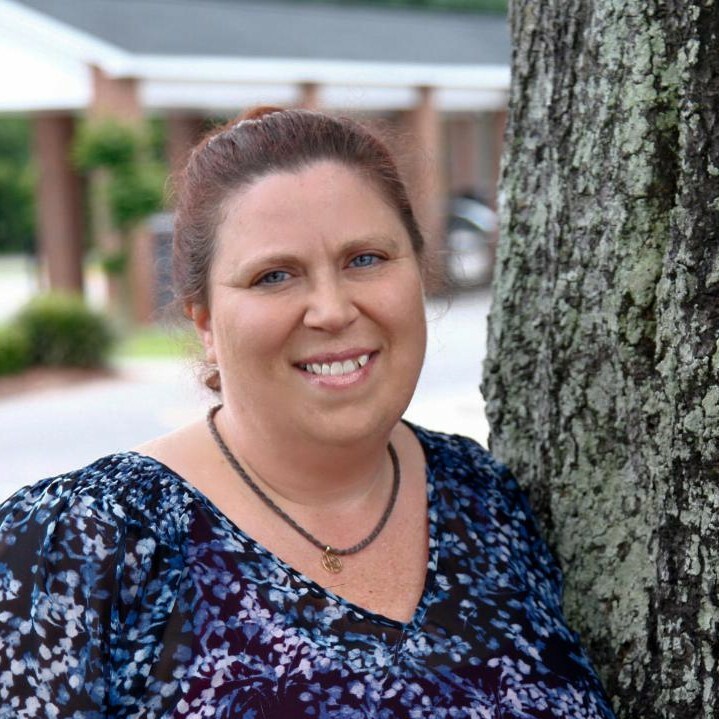 After my second was born and I tipped 230 pounds, I decided that was enough and lost 80 pounds, by myself. This is where my passion for health and fitness has come in. 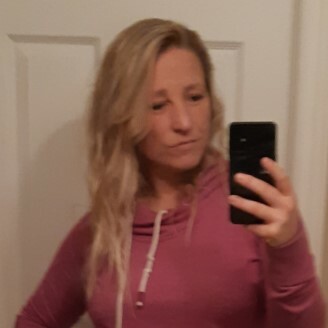 I have maintained the weight loss for over 5 years now, even going through a 3rd pregnancy and am 22 months postpartum with that. I joined the FNE program so I could learn how to help others and to learn how to make a successful career out of my passion. I’m a firm believer in setting a healthy and active example for my children and know they will hold it with them through their lives. If I can do it, I believe anyone can do it! Taking Fit Chicks Fitness & Nutrition Expert Program was one of the best decisions I have made. 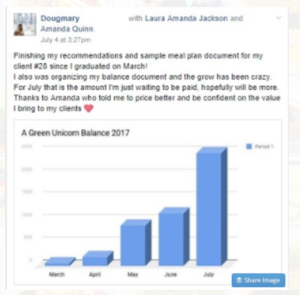 When I initially started the program, I actually thought I wanted to work with people that wanted to do Macro based nutrition programs, I am working on software to support this process. I was taking this course to fill in some “blanks”. However, the program itself caused me to do some soul searching and I discovered that what I really enjoy about the entire aspect of the Macro’s coaching was working with people that have over 100 pounds to lose. I enjoy the process of helping people build a system that works for them. 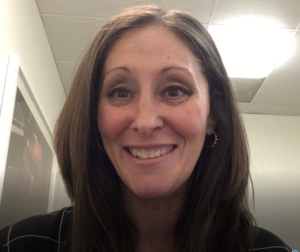 I have a degree in psychology as well as in software engineering, so this program helped me realize it was the wellness aspect of coaching that I really shine at, and that is where I should focus my energies. So, with that said, I am actually building out two separate businesses. Right now, I am focusing on ONEderland Wellness. http://www.ONEderlandWellness.com has a focus of helping primarily women that have 100 or more pounds to lose. 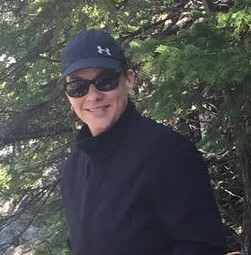 The processes I help women implement, are actually modifications of the processes that I implemented to lose over 100 pounds at 43 years old after being sedentary my entire life and living a life buried under the hardships of obesity for the majority of those years from childhood through adulthood. The primary goal of ONEderland Wellness is to help people start and travel through their journey to healthy. It’s an amazing journey filled with non-scale victories then lead to a healthy active life! Dougmary, who is also my business partner, for introducing me to FIT CHICKS. This course has changed my life. I ABSOLUTELY love this program, and all the information its spreading all around the world. Thank you so much ladies. I feel so grateful to be part of this beautiful community. I just want to say what an amazing journey I’ve been on with these FIT CHICKS! At times I thought I’d never get through all the Fitness Nutrition Expert information, because, you know, LIFE! But with so much support not only from Laura, Amanda, and Sarah and everyone else on the team, I finally got there and found out a lot about myself along the way. I discovered passions that I never knew existed! A huge shout out for everyone on the Facebook page too, as everyone was going through the same process but the experience was totally unique for each and every person. We kept each other buoyant and supported every step of the way, celebrated successes and commiserated struggles. I signed up for the course because I was volunteering for a fitness team, raising money for art therapy for local kids and I’m always interested in nutrition as my daughter has various food allergies. However, because of all the information being thrown at me on this course, it has opened a Pandora’s box and tapped into some fabulous ideas that I hope to pursue. I want to motivate women to be their better selves through fitness, foodiness and fierceness at my Bermuda Triangle Retreats! The only limits (I have learned on this course) are my own and I now have the tools to turn this dream into a reality. There is so much information available that I will be revisiting and delve deeper into the course work. 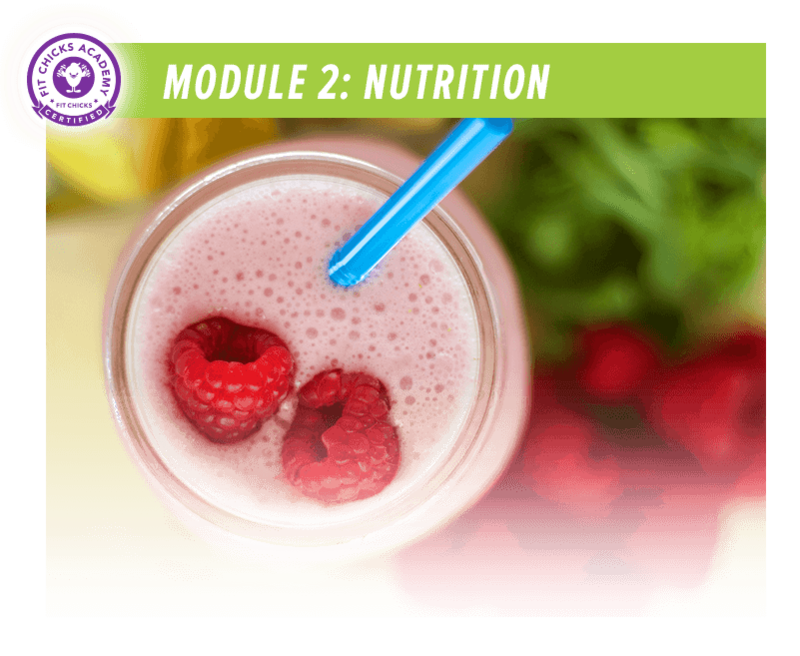 I would totally recommend ANYONE taking this course who has an ounce of interest in fitness and nutrition, you will surprise yourself with what you discover on your journey. Thank you again chicks, you ROCK! The Fitness and Nutrition Expert program was super informative and an overall confidence booster! I first found out about the program when I started as a bootcamp instructor for FIT CHICKS. 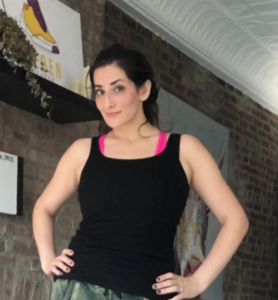 As a previously certified fitness instructor in both group fitness and Zumba, this program has helped me further my training in a more holistic approach to healthy living. 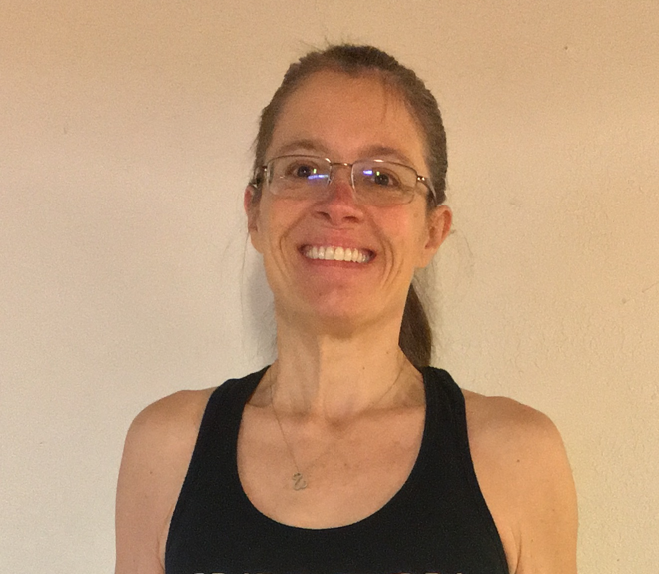 I am now much more confident, not only teaching my group fitness classes, but in being able to help my clients in nutrition and wellness aspects as well. The online classes worked well with my busy and varied schedule. If I happened to need to miss a class, I was able to catch up easily from the recording. They are also taught in a way that is very understandable and supportive. The community that is built is absolutely amazing! I couldn’t have asked for a better experience. Since I was a child, I like to be active. Dancing, swimming, running are being my favorite things to do. I like to be in movement, which helps me to feel good; no matter if training with weights, walking on the treadmill, or a hot yoga class. The mind-body connection that you reach when you do a physical activity, it is something that I can’t describe – it is absolutely amazing. However, it wasn’t always like this. 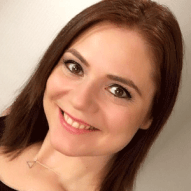 When my life became complicated and challenging during my early 20’s, I found myself on an unhealthy path, eating poorly and treating my body badly. 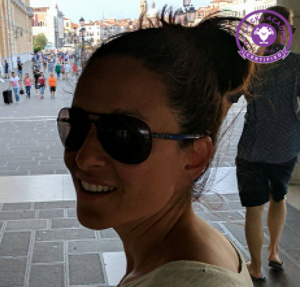 After reaching a breaking point in my 30’s, I made the decision to take control and find the happy, confident life I was meant to live. I rediscovered my love for fitness and I decided to enroll in this wonderful program with FIT CHICKS Academy. This program has been changed my live, it is not only because I love fitness but also because I discovered that I love to teach to other chicks. I want to show people that it is possible to eat healthy and delicious. I also want to demonstrate that exercises are not only for bodybuilders or Instagram models – it is possible to get the body of your dreams! Juts make that wish in a reality, no excuses. My philosophy is don’t tell people what to eat or what exercises do, teach them why! skills as well, which are so important when we are launching a new business. I am now confidently putting together business plans, personal training profiles, nutrition programs and utilize all the skills I have learned during the co-ops as well. I have been also able to improve my online fitness coaching business with the extensive knowledge I obtained throughout the course. Best decision I had made was to enroll in the FNE course with Fit Chicks! FIT CHICKS Academy has helped to facilitate my passion for fitness and nutrition into something I can make a career of! Having little experience in the fitness and nutrition industry other than self taught knowledge, over the 12 week period of lectures, assignments, quizzes and co-ops, I slowly began to see myself moulding my craft and becoming confident in myself as a fitness professional. Head chicks Laura and Amanda have provided me with valuable knowledge that goes beyond that of the fitness and nutrition world. They have supplied me with life skills and lessons as well as on-going hands-on support that no other fitness programs provide. I cannot wait to see what this industry has in store for me and I am so grateful I chose FIT CHICKS Academy as my starting point. Thank you Chicks! I signed up for the FNE Certification at first as it worked perfectly with my family’s busy schedule. I am very passionate about health and fitness and I knew I wanted my next chapter to consist of spreading that love onto others. The course prepared me with the confidence and all of the tools to be ready to start my new career immediately upon graduating. The course is all online which gave me the flexibility to complete my course workload while the kids were in bed or away at school – alleviating the complications of taking time away from my family. I cannot thank Laura and Amanda enough as they have responded to every question I have ever had throughout the course, and even beyond. They are always very informative and responsive to my needs. They have been such a great support system throughout my journey. With the Fit Chicks FNE course I had a great Platform to start with and get to wake up everyday and spread my passion through my own business Ybe.Nourish.Train, providing small group bootcamps, Personal Training and Nutrition Guidance. I would recommend this course to anyone looking to start their own business, maybe just getting into health and fitness, or to help grow themselves internally or externally. I Loved the FNE Program! The instructors were full of spirit and knowledge, and the content was great. I had no idea how much I would learn and how involved the program would be. The live online lectures were informative, but I loved that I could view them in my own time if the schedule didn’t work for me. There are few people and events that are instrumental in forming your life path, and I think this course is one of those for me. This course has given me the courage, knowledge and experience to teach my own bootcamp classes and start my own fitness business. I can’t wait to share what I have learned, and help women be FIERCE!!! The FIT CHICKS Fitness and Nutrition Expert program was a rewarding experience. The instructors were very informative and knowledgeable. Their years of experience and education is really clear to see. They are always available to help with any questions you have and are very supportive. 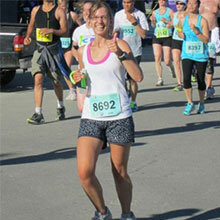 The course ran at a good pace, and it was really helpful to be able to watch the classes at your own pace. I could fit all the classes and assignments in to my own schedule and didn’t have to worry about falling behind. I highly recommend this course! 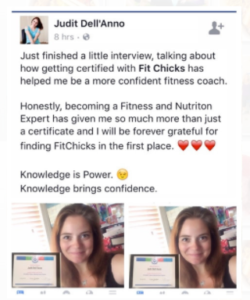 One of the best decisions I’ve made about looking into a new career path was taking the Fit Chicks Fitness Nutrition Expert Program. They made this program fully packed of information but also made it trouble-free so that I was still able to do my full time job. I looked forward to our evening classes and they were always there to answer any questions in a fast manner. They helped me clarify that I made the right decision! FNE was an amazing Motivating program! It had been a long time since I had been in school but this program was so full of so much exciting new interesting information ,it keep me on my toes and engulfed in it. At first I felt a bit unsure on my direction but as Laura & Amanda say trust the process and the journey, enjoy each module it will become clear, one step at a time. My classes have come far, from offering free classes while in school FNE, to having 10 to 12 ladies on a weekly basis year round indoor and outdoor for 6 to 12 wk sessions, my prices have progressively moved up! What I liked most about the FNE program and part of what drew me to it was the fact that it is all encompassing. You learn the fitness, nutrition and wellness components, but you also learn the business component as well. And for me it was the personal stories from Laura and Amanda that I found most fascinating. The obstacles they encountered, their successes and failures and advice that they are able to give as a result of their experience was so valuable. It was during one of the business lessons when Laura described how her partnership with Amanda started out with a handshake and a promise to always put their friendship first. How they left their day jobs to follow their dreams. That feeling of freedom they must have had overwhelmed me and that’s when my mind shifted from thinking I’ll just work for someone else to I will work for myself. Succeed or fail, I decided to go for it! If this is your passion and what you truly want, then go for it. Don’t worry if you don’t know exactly how you will use it or what you will do. I had no idea. I figured it out along the way and you will too. The FNE program and member group offers so much support you won’t have to figure it out alone. Find your people. People who you connect with and give you energy. Take that energy and give it all back to them (and maybe a little more). Use your instincts. Don’t take on a client if you don’t feel good about it or teach a class that’s maybe popular but that isn’t you. Over time it will show.Be authentic. Take on the clients that you want to take on and teach the type of classes that speak to you. Teach what you love. I’m doing what I truly love to do and what I believe I should be doing. I think it shows. mindset about themselves, nutrition and fitness. I want women to embrace these changes as a lifestyle change. who are struggling and are tired of being on the same roller coaster of the dieting world. and turn away from their bad habits; finding positive, sustainable ones. 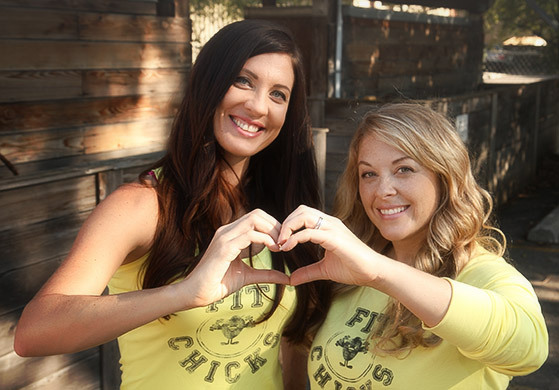 I found these two amazing women in FIT CHICKS and I found them through doing a retreat. . 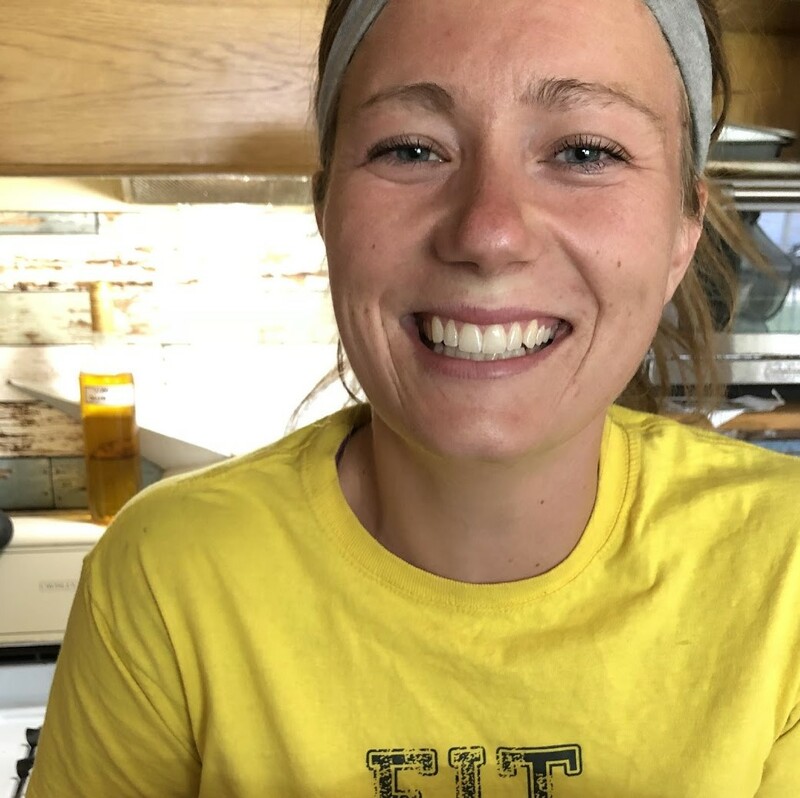 There was all the physical activity that you were expecting, and then we sat down for the nutrition portion, and I was blown away, because here were women who were talking to me, and they shared the same food philosophy that I had finally adopted. It was about eating real whole foods, the fat, the proper carbs, the protein and how they all work together. It just really solidified my food philosophy, and that’s why I fell in love with this company. 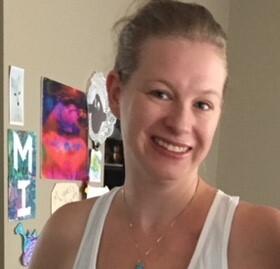 I decided, because I do love to share my knowledge and it’s an outlet for me, I decided that I really wanted to take this Holistic Nutrition Weight Loss Expert certficiation, especially tied it with all the struggles I’ve had since I’ve been a teenager, a girl growing up in this diet world and everything was fat free and low fat. Because sitting there at that table and then asking me, what is it that you can bring to these Lunch and Learns, and they had their own thoughts, and they asked me. I think my favorite question was, what do you think of the Canadian Food Guide? For all of you new to the program, I’m going to let you answer that question on your own. It was a really standout moment for me, and I want to thank these amazing women who’ve put together this program. If anybody’s considering the program, the one thing I would say is, is make sure it fits your food philosophy. If you’re looking for something where you can eat real food, if you’re looking for something that is going to teach you how to heal your body by eating, and learning how things contribute and support all through the foods you eat, to give yourself and others maximum health, this is the absolute program for you. While this is an online program that you can complete during your own time during the course duration, it is a commitment and we will hold you accountable to your goals. You will need to watch the online classes. You will need to complete your quizzes, assignments and at home study. You will need to practice in your community through your required program co-op.